Could driverless cars do wonders for the economy? (MoneyWatch) Want to save lives and improve the economy? Then get people out from behind the wheel of their cars. That's the conclusion of a new study of the possible impact of autonomous vehicles -- cars and trucks that are run entirely by computers. The study by the Eno Center for Transportation says AVs, as the vehicles are call, "can be programmed to not break traffic laws. They do not drink and drive. Their reaction times are quicker and they can be optimized to smooth traffic flows, improve fuel economy, and reduce emissions." So the widespread adoption of these self-driving vehicles could cut the number of people killed in car crashes every year by two-thirds, to fewer than 10,000, according to the group. Those 30,000 deaths and the 2.2 million car crashes cost the nation about $300 billion in insurance, health care and litigation annually. AVs could also ease congestion thanks to their rational, logical driving. Because these cars could travel close together at steady speeds, there wouldn't be traffic jams caused by the ripple of brake lights or rubbernecking at someone getting a speeding ticket. That would allow cars to move faster on even highly trafficked roads. This would make shipping and commuting more efficient and cut down on the amount of fuel drivers waste waiting in traffic or even looking for parking spots. This could all come to pass in the not-to-distant future, according to Eno. The idea of AVs has been around for a long time, but it wasn't until 2005 that working models began running. 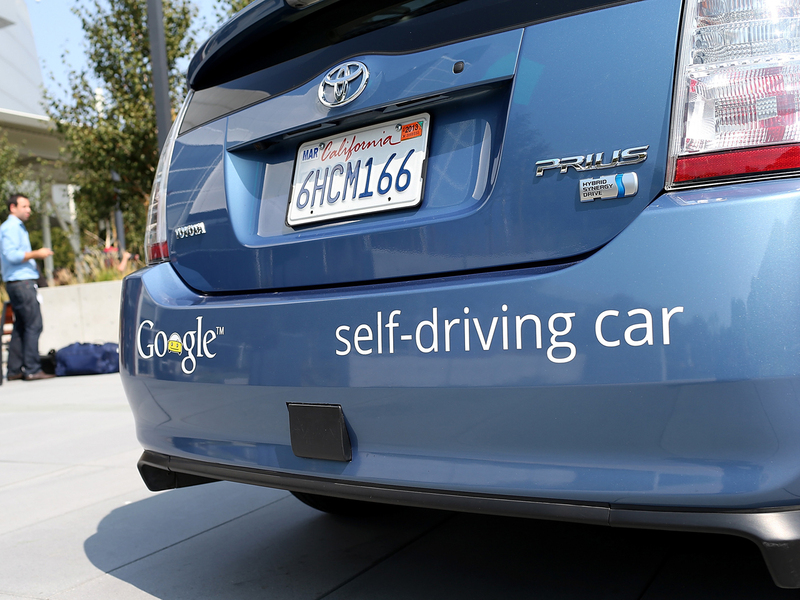 Google is a huge proponent of AVs and was a prime force behind California's legalization of the vehicles in 2012. As of 2013, the company's cars have driven more than 435,000 miles on the state's roads. Some AV features -- like automatic braking, devices which automatically put a safe distance between you and the car ahead of you and sensors to warn when you stray out of your lane -- are already available on some high-end cars. Many carmakers see driverless driving as the future of the industry and are increasing research into it. While General Motor and Nissan are believed to be the most advanced when it comes to driverless systems, Audi, BMW, Ford, Mercedes-Benz, Toyota, Volkswagen and Volvo are also testing them. And it's not just cars. As the report notes, "Freight transport on and off the road will also be impacted. The mining company Rio Tinto is already using 10 self-driving ore trucks, with plans to expand to 150 vehicles within four years." There are still obstacles to overcome before this can come to pass. First is cost. Right now estimates put the price tag at more than $100,000 and it could be a lot more. According to the Washington Post, just the 3-D sensors for Google's AV cost $70,000. However as with all mass-produced technology, those costs would likely come down as the sales and demand increased. That is only one type of cost, however. As the report points out, "Many of the nation's 240,000 taxi drivers and 1.6 million truck drivers could be displaced by AV technologies, while greenhouse gas emissions, infrastructure needs, and rates of walking may fall or rise. ... Increased sprawl or automobile-style development could also result."